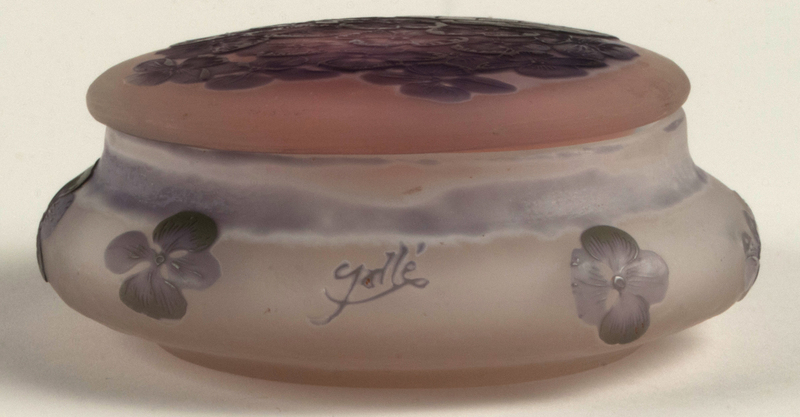 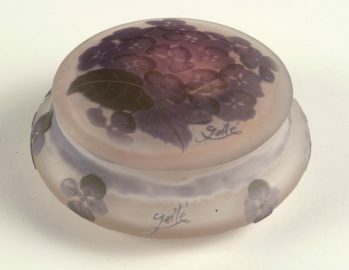 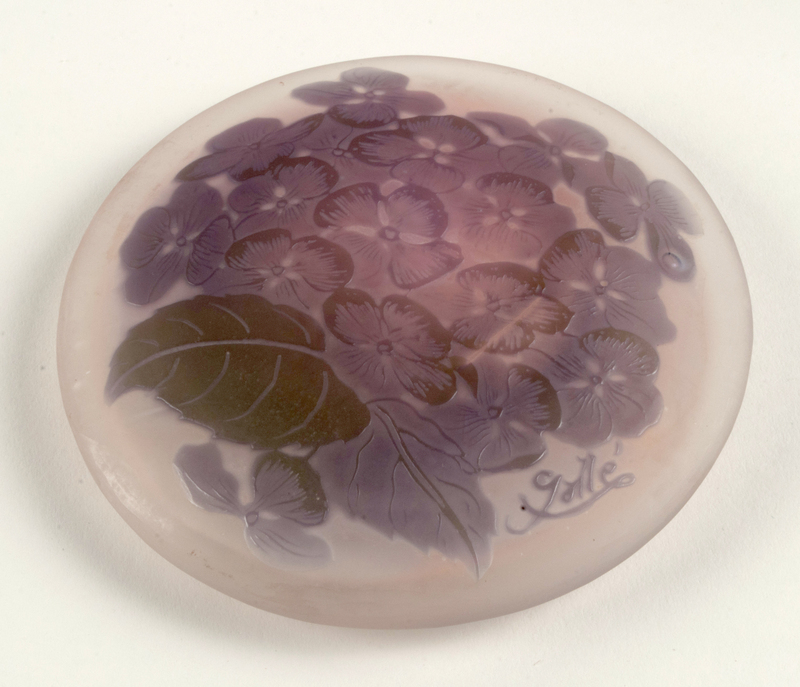 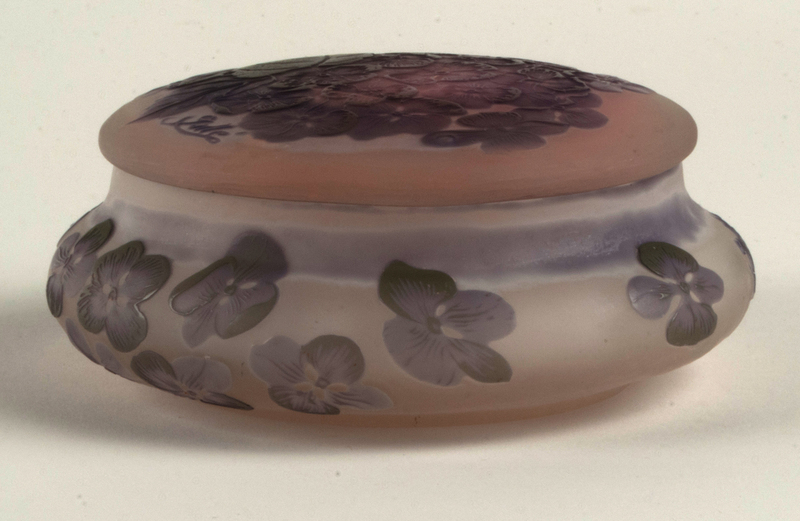 A wonderful Emile Galle powder box with purple floral design. Box is free of any chips or damage that are so often found on these. 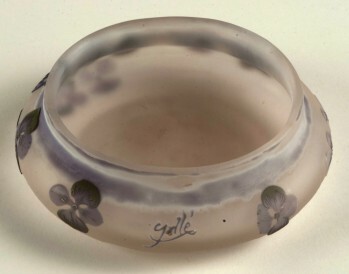 Marked as Galle in cameo. 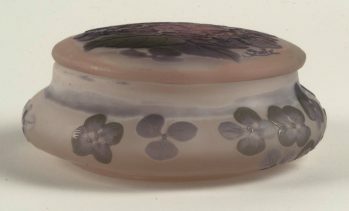 5.25" wide by 2.25" tall.